Magneti Marelli said in a statement that “lidar technology naturally aligns with the evolution” of the company. Fiat Chrysler Automobiles' parts unit Magneti Marelli has acquired a stake in Canadian lidar technology company LeddarTech of Quebec City. Neither company disclosed the value or percentage of the acquisition. The two companies have also entered into a technical and commercial cooperation agreement to jointly develop lidar systems for autonomous driving and destined for integration in automotive lighting products for automakers worldwide. LeddarTech develops a proprietary lidar technology and specializes in solid-state lidar systems that use infrared light to monitor the area around them. 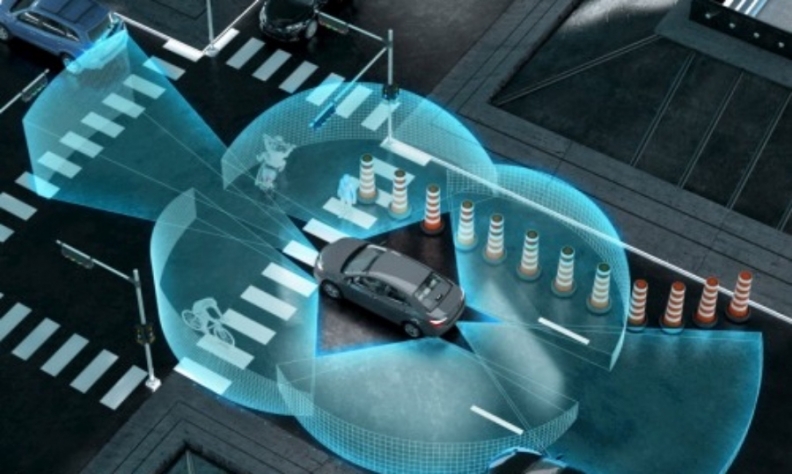 Lidar is a sensor technology based on laser light that, in combination with cameras and radar, enables autonomous driving from Level 2 through Level 5 — that is, from partial to full driving automation, as defined by SAE International’s standard. Magneti Marelli has already started to exploit its electronics and lighting know-how as an autonomous driving technology. The company’s “Smart Corner” solution, exhibited at CES Las Vegas 2017, uses the areas of the car traditionally reserved for lighting systems, the corners for example, to bring together the various sensors useful for autonomous driving into one unit. Advanced projector headlamps and tail lamps integrate solid state lidar, cameras, radar and ultrasonic sensors to support autonomous capability, the company says.